Photos from above. Aerial photography taken by an FAA Part 107 Certified Remote Pilot (drone). 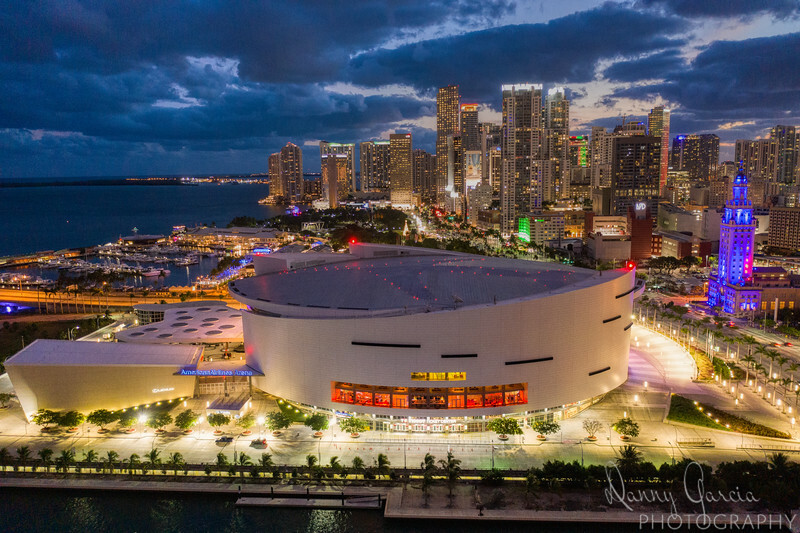 Here is another aerial view of downtown Miami with the American Airlines Arena in the foreground. The lights in this city are just beautiful!